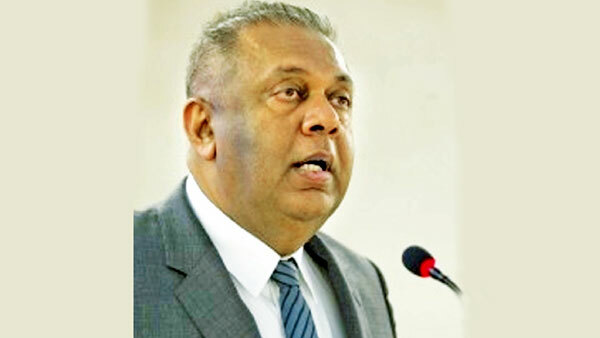 Prior to his departure for Indonesia, Samaraweera said, “My hope is that there are enough risk factors evident and enough voices that people in positions of power take seriously the risks of global economic downturn and in response take concrete steps to ease trade tensions, improve on the global trade system and take steps to address debt problems. “As great power tensions rise, I think there are more opportunities for developing nations to influence and temper discussions. We plan to do that in Bali,” he said in an interview. The topic for discussion among G-24 Ministers at this year’s meeting will be the key issues faced by emerging market and developing economies (EMDEs) in “Navigating an Uncertain Global Environment.” Major sources of uncertainty to be discussed are escalating trade tensions and protectionist policies, as well as tightening financial conditions in EMDEs. Talking about global economic prospects, the Minister said, much of the world economy is doing well but there are warning signs that need more serious attention. “There is concern that such warnings were ignored in the years prior to the 2008 global financial crisis and as G-24 chair I want to ensure that world leaders aren’t complacent and take some proactive measures, not wait until a crisis to react. The threat of trade war is significant, which could have very negative side effects not only for the United States and China, but for many developing nations that can be disrupted. Q: You mention trade conflicts. What can be done, particularly by small economies, when major powers want to take unilateral action? A: Clearly there is frustration over some aspects of the global trading system. However, there is major risk in abandoning a rules-based approach for unilateral action. I think the best way to head off unilateralism is to offer a credible alternative, which is toprocess to reform the World Trade Organization. We are ready to engage in efforts to make the trading system fair, supportive of development, and fit for the future. Small nations individually can’t persuade big countries but by banding together in groups like the G-24 we can push issues onto the agenda and try to get the influential actors and discussions at the IMF pointing in a better direction. We small developing nations of course will not always win over everyone, but we can influence the global agenda, which I try to do through the G-24. Q: High debt levels and unsustainable repayment are risks to global and national economies. What should be done at the national and international levels? A: There is a tendency to frame the high debt issue as only one of emerging markets but remember many developed nations — Italy, Japan, the US — also have high debt. The difference is they have higher revenues and deeper financial markets so they have more options than poorer countries, and when an economic squeeze comes emerging markets are hit earlier and harder when markets begin to doubt their ability to repay. It is crucial to remember that every individual and nation faces needs greater than their income. There always is a temptation to borrow but we have to temper that with institutions and laws that slow down the accumulation of debt, assure transparency around debt terms and purposes, ensure that money to be borrowed goes to practical purposes that are a net boost to the whole economy. When nations do get in debt trouble, the IMF must play a key role in simultaneously recommending reforms and supporting countries in restoring debt sustainability. To complement that we also are pressing for better international tax cooperation to combat illicit flows of funds. And we call on developed nations to live up to their development finance commitments to assist developing nations.